A brilliant read and resource by Eben Barlow. I am utilising the trinity of gravity concept and items from MOOTW in my honours paper, which is focused on paramilitary capacity in conservation. All related to the poaching crisis in Rhino, Elephant and the illegal trade in Wildlife. 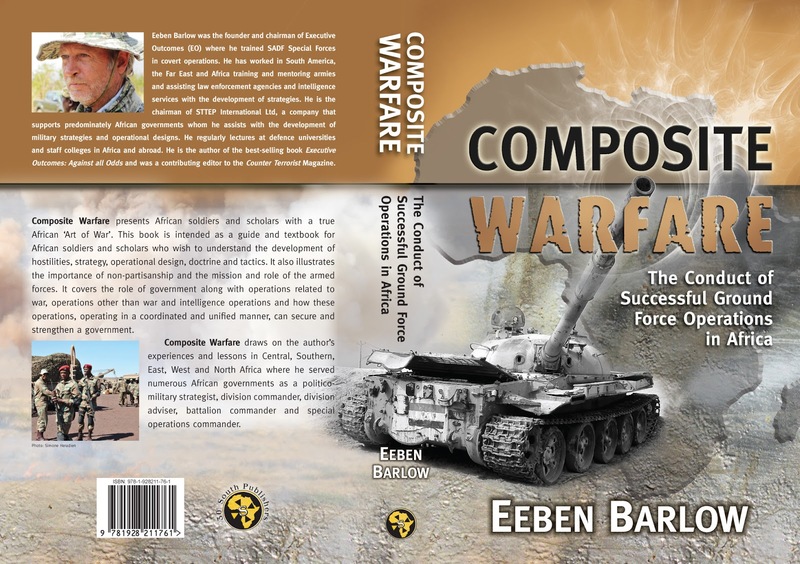 This is a brilliant resource and not just a bible for Africa Warfare, but, also highly useful for paramilitary practitioners, conservation specialists and in the hybrid domain of law enforcement and conservation area integrity. Well done! Thanks for your support Ashwell. I am pleased to learn that you have found it of value, especially insofar as your honours paper is concerned - good luck! I’d like to get in touch with you, I have a book you might be interested in, I wondered if I could send you a copy? An interesting read Absalon L16. Thanks for sharing it. Thanks for your message Phann Son. This is the best way to contact me - or via Facebook. However, given a time constraint I live under, I might not always be able to respond quickly. This interesting book is ambitious in its scope as it represents a combination of a ‘how to’ military guide with a conceptual analysis of broader issues related to maintaining the stability and integrity of African states or elsewhere in 3rd world war torn strifes. The ‘military’ part covers a very broad range of topics from useful tips for small patrols, through to guidance on the deployment and operational use of complete divisions. Some of the advice offered is broad brush and hypothetical: some is usefully specific, and I suspect often reflects the author’s personal military experience which I feel deserves much respect. Overall, nothing on the military side struck me as very surprising or clearly unsound. The conceptual part of the book centres on likening the integrity and stability of a state to an ancient edifice supported by solid pillars. These ‘Seven Pillars of State’ are: Intelligence; Law Enforcement; Armed Forces; Governance (in ways which do not antagonise the populace); the Economy; the Populace (which must be accepting of government rule) and Perceptions (which is about ways to create positive perceptions of the government both internally and externally). It explains that those who threaten the state may be internal seekers after power, or be based in adjacent states. They may also be international players acting for political or economic reasons, which are often related to gaining greater control of the target country’s natural resources. The attackers may use many approaches including: conventional warfare; guerrilla warfare; cyberwarfare; terrorism; assassination or pseudo gangs. Internal and external propaganda, which increasingly involves social media, can be used to undermine and discredit the target government internally and externally. Clever exploitation of tribal and religious differences as well as injections of ideology can be used to promote dissatisfaction and public unrest. Non Government Organisations with supposedly worthy objectives frequently provide a front for dark and devious activity. 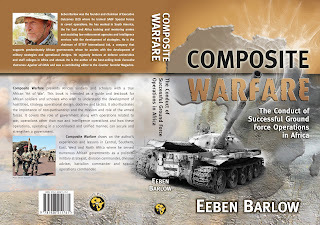 Composite Warfare is very much about the contest between those seeking to protect the stability of the state and those seeking to undermine it. The arena in which this is played out is very different from that in long-established 'liberal' democracies. Values and social norms tend to be very different, and top level control is often exercised by a small group of mutually dependent people who gain massive financial and other rewards from their exercise of power. Such people have everything to lose from a breakdown of the integrity and stability of their state. A drawback of the book is that it is sometimes repetitive and not an easy read. This is a pity because if the ideas in the book were condensed and explained by someone with a ‘silver pen’ it would have the greater impact it deserves. It offers potentially vital and important insights to those who see the world through the prism of their experience of liberal democracy whilst seeking to intervene in societies in Africa and elsewhere whose very different internal dynamics they little understand. This interesting book is ambitious in its scope as it represents a combination of a ‘how to’ military guide with a conceptual analysis of the broader issues related to maintaining the stability and integrity of African states. The military guide covers a very broad range of topics from useful tips for small patrols through to guidance on the deployment and operational use of complete divisions. The advice offered reflects the very considerable practical military experience of the author, and although the coverage of some topics was limited, I came across nothing which made me raise eyebrows in disagreement. The conceptual analysis looks at the broad problem of maintaining the stability and integrity of an African state under internal or external attack. It analyses the ‘Pillars of State’ (Intelligence, Law Enforcement, Armed Forces, Governance, the Economy, the Populace and Perceptions) which underpin this. It emphasises the importance of starting with ruthless and structured intelligence-gathering to identify those who intend to attack the state and find out how they intend to do so. This needs to be followed by counter-planning which reviews all the ‘Pillars of State’ and results in a coherent integrated plan to counter the threat. Military capability is often a key enabler, but its use should be tailored to fit the overall plan. Military force which is ineptly applied often proves strategically counterproductive in long run. The book is not an easy read, which is a pity because it offers important insights into ways in which countries tend to function in Africa and elsewhere when they do not have a history of liberal democracy. The insights are potentially of great value to those who seek to intervene in countries whose internal dynamics they may easily misunderstand because they are so different from those they are familiar with in their own environments. Many thanks for your comment as well as the review by Richard. I shall pass this on to Piet Fourie (Bush War Books) to post it on his site where it feautres my book. Thanks again for the trouble and effort you made to have someone look at it. Apologies for missing your comment Andrew. I will be in touch.